The photos aren't the best, but it's all I have for now. I know the sleeve pitch is off. What else? This is half canvassed, 100% kid mohair (vintage cloth). The first pic was taken after wearing it buttoned in a car for 30 mins. The last pic was taken after it was hung overnight. Some detail shots. No, I am underwhelmed by the buttonholes. 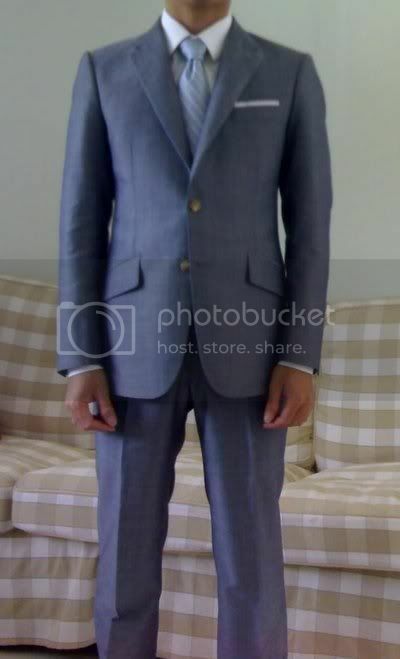 If that is only your second attempt at a bespoke suit, you have done well. 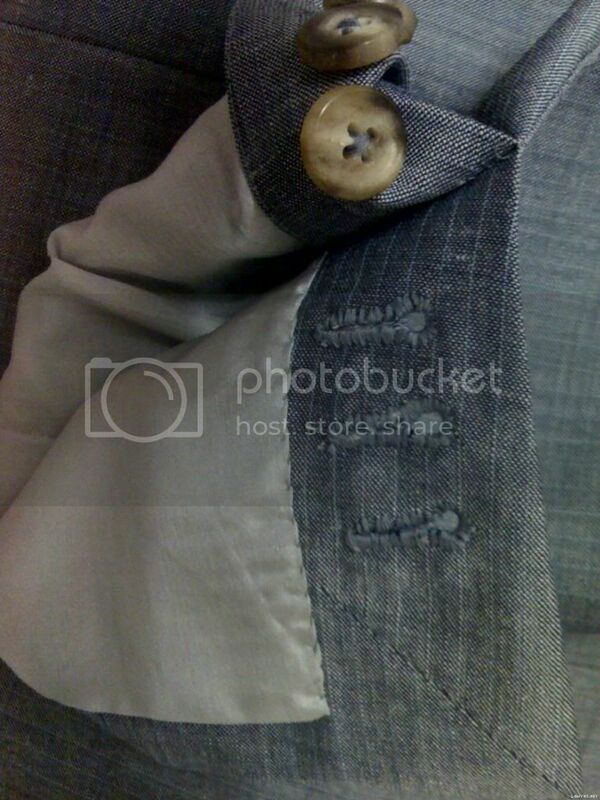 I agree the buttonholes could be better, they do take a lot of practice to get right. Did you try and do the fittings on your own or did you have help? 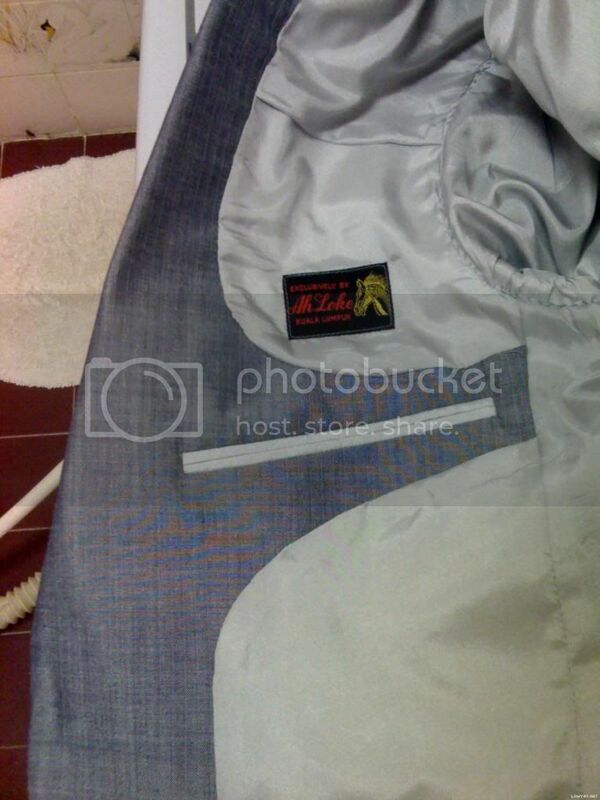 Oh no no jukes, a real tailor made it, not me. I'm an engineer by training. I apologise. I obviously got that wrong, mind you those buttonholes are not the best. How many fittings? Is it just me, or is there something happening with your left shoulder? It looks to be breaking at that point, perhaps a slope issue? That says a lot! They do look "home made" rather than "hand made". 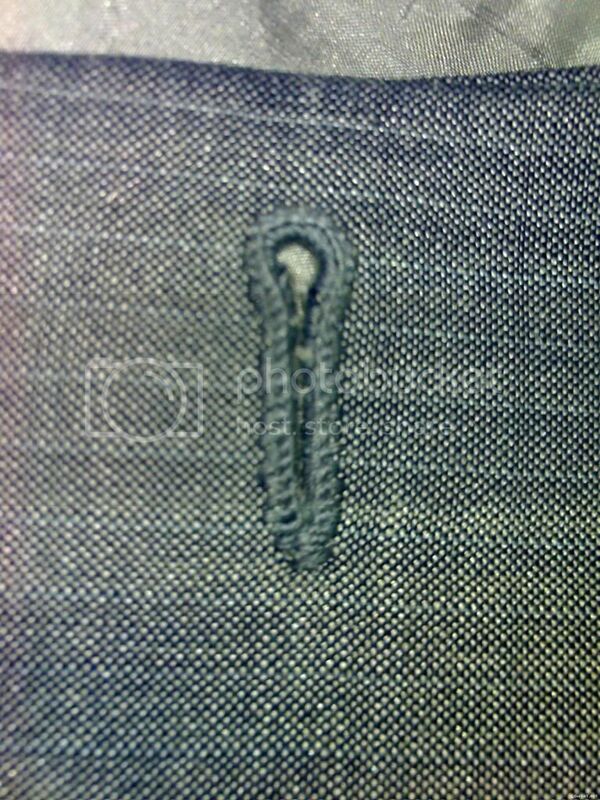 I should put together a post on how to make buttonholes. Anyone smart enough to be an engineer could probably do better than those buttons with a bit of practice. The coat also looks too short but none of the shots includes the feet - that's why the guideline recommend a shot that is head to toe (or at least neck to toe if you want to be anonymous). 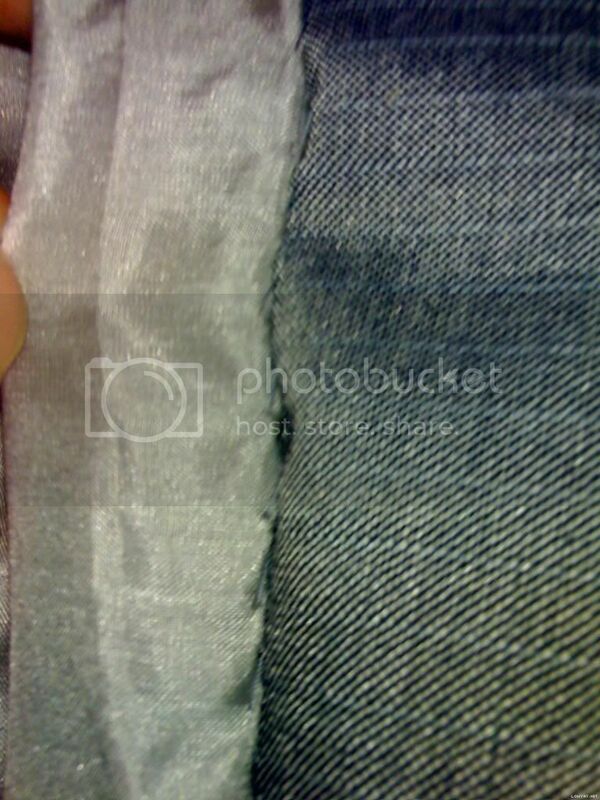 Nor is there a side on shot because the back of the sleeve suggests there may be a problem with pitch. It's really important to follow the guidelines because you can't make any comments without the requisite shots from front, side and back with at least one shot going all the way down to the feet to help judge the length. It's unlikely that they would have cut a left and right side to compensate for different shoulder slopes. This was done in two fittings. It is a nicer coat than some I've seen. Lenght is customers choices, so don't listen to anybody who says otherwise. The fit is wrong if the ends of the shoulders is where the weight of the coat is at. 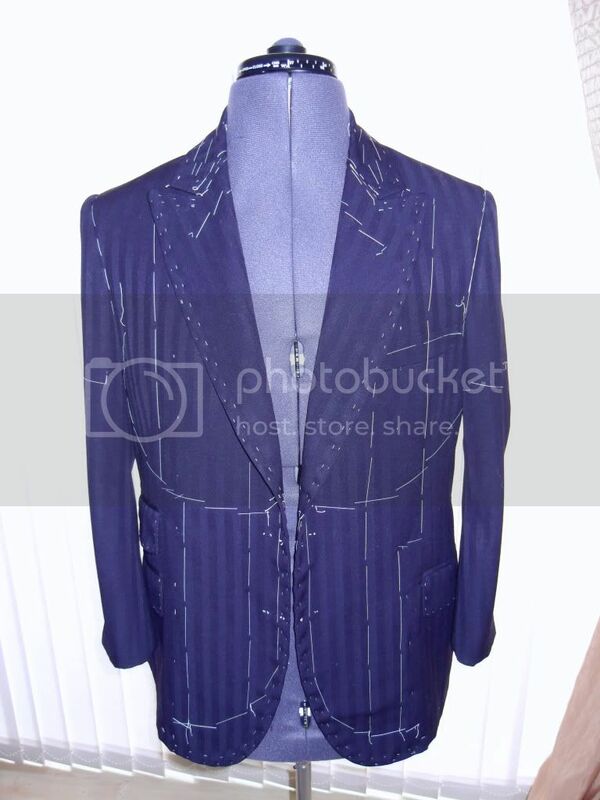 This is the tailors problem that he should fix, not an alterations tailor, nor should it cost you anything. Generally the fit is half shoulder to the other half shoulder, so your tailor has it backwards. Loose shoulder ends leaves room for movement and shoulder padding is to prevent the shoulder ends from collapseing. Shoulder padding can be a lot to almost nothing, some put in nothing. I think the trouble with the length is that it looks a bit exaggeratedly short in the shot with the jeans because of the lack of a belt, or due to the funny camera angle (pointed downwards? 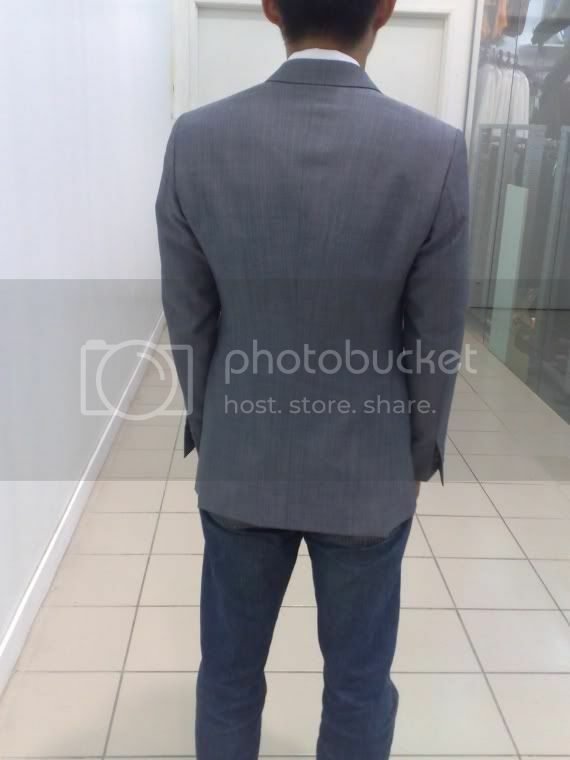 ), causing the the sagging jeans to make the coat look much shorter than it really is. When you look at the shot with proper trousers on, it looks less extreme. Again, it really does go to show that taking proper photos is important or else otherwise you spend ages speculating about things suggested by distortions introduced by the lens. It's good to know where the weight of the coat is to be distributed. I think this problem will solve itself, since I work out in the gym and my trapezius muscles grow each time I deadlift. I don't think there's a problem with the length. But I'll try to get a neck-to-shoe pic up for you to judge. Maybe on the weekend. I like your coat. It is really nice. It doesn't look factory made. I think it has some nice shaping in it. So many people think that the only way a coat looks right is the factory press, which bores the dayligths out of me 99% of the time, I'd rather see something better. Your coat has some interesting roundness to it that suggest a much better coat. Most people don't recognize quality when the see it because they have never seen it before, and being different they may think it is wrong. I don't think it is home made looking either, as somebody suggested. I think it is a type of art he has never seen of the tailored world. 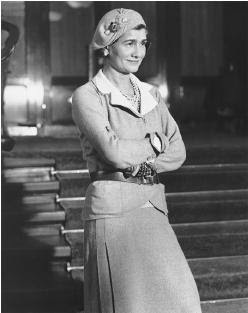 It is a coat to be proud of ( there are many tailored coats I'd rather not have, so yours is very nice). Pushing weights explains why the pattern doesn't work the second time around. Perhaps larger padding that is easlily replaceable with thinner padding would help for a while as your muscles grow. I would pin the shoulders for fit and then work with the the cilent about how to pin the ends of the shoulders, once that is figured out then sew it. About ease around the chest; if 3-4 inches is good for 36 inch chest then 50 inch chest would need more, because it is more by percentage than inches. Having been out of the trade for around 30 years, i decided a little while ago to do some tailoring, here is a jacket that i am making for a friend. (hopefully i have attached the image) to be hand finished, buttonholes/buttons and final pressing. I agree with Gregor, it doesn't look factory made and the over-all tailoring isn't bad. I believe the concern is in the finish. The button-holes and the felling of the lining looks a bit apprenticy or at the very least "hurried". Length is the customers choice, but a lot of people go for safe currently fashionable lengths and widths, nice to see something that doesn't look cookie cutter in approach. Jukes looks like to be a tailor, very nice blue coat thing. For Hymo: The coat has traditional lenght and tap. What I dont like ist the waisting is to strong, it looks like a riding coat, maybe you wanted it that way so its nice then. Traditional, the sleve has a special lining, but is not important. Very nice suit so far, be happy. Very nice! Can't wait to see this finished! Der Zuschneider: I would have preferred to have striped lining for the sleeves, but 1) there wasn't any striped haboutai silk at the cloth shop, and b) I was afraid the different colouration of the lining would be visible from the outside because the kid mohair cloth is so very loosely woven. The tailor was reluctant to make me such a waisted coat. He tried persuading me to let him ease it off a little -- but I insisted on it. The wasp waist makes for a lot of visual impact. This is not a discreet cut. I may someday reconsider this aesthetic. 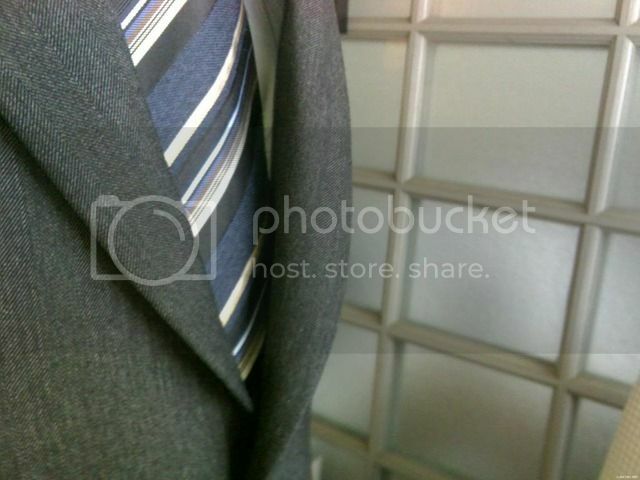 Here is a (bad) picture of suit #1, if it adds anything to the discussion. Edited by hymo, 18 December 2009 - 03:18 AM. 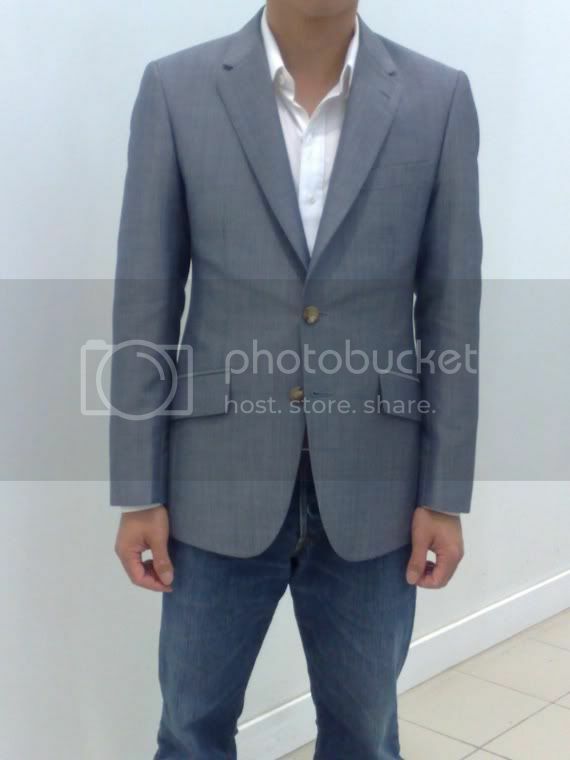 To my eye suit No 1 looks more balanced to your figure, and i think the reason is the jacket is maybe slightly longer. Whenever i see a very waisted jacket with very slanted pockets, to me it looks out of balance. I feel like the jacket needs straightening i,e to swing the fronts back. Which of course is not the case.